Sydney Swans defender Jake Lloyd was a shining light in the red and white's opening-round loss. 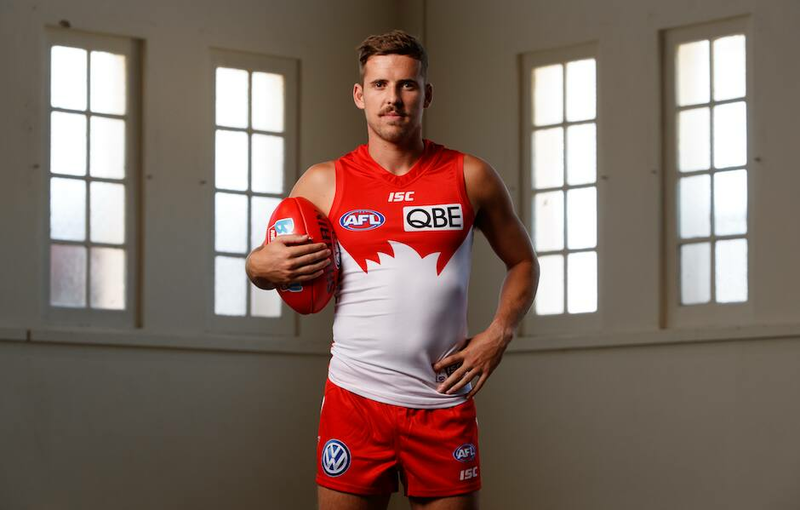 Reigning Sydney Swans Club Champion Jake Lloyd polled three votes in the AFL Coaches’ Association’s Champion Player of the Year award for his performance in Saturday’s loss to the Western Bulldogs. The 25-year-old defender recorded a game-high 35 disposals, collected a match-high 10 marks and operated at a disposal efficiency of 85 per cent in the season-opening Marvel Stadium clash. The Bulldogs gathered the remaining votes, with Marcus Bontempelli (10 votes), Tom Liberatore (five), Aaron Naughton (five), Jack Macrae (four), Mitch Wallis (two) and Caleb Daniel (one) all producing strong games.